British history timeline showing Tudor era, Elizabethan era, and the Stuart era. Elizabethan England Life.com started as a site primarily focused on life in England during the Elizabethan era. Over the period of time, it has grown to include information about logically extending to the era before the Elizabethan era and period after Elizabethan era. Since Queen Elizabeth the first was the last ruler from Tudor era, it will be perhaps more appropriate to say that it covers the era from the foundation of Tudors dynasty and goes beyond the Elizabethan period right into the Jacobean era. 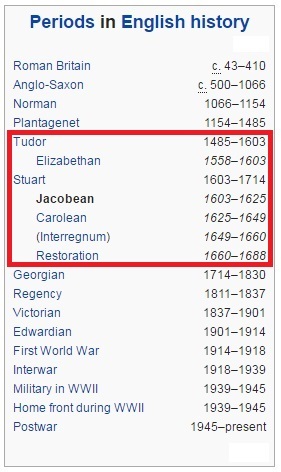 Perhaps the timeline of the Tudor era, Elizabethan era and Jacobean era on the left will make the distinction clearer. It also covers articles relevant to medieval England and renaissance period in England in general. Tudor and Elizabethan eras are known for the famous explorers who ventured out into the sea to explore new lands. So it is also appropriate to have much information about the age of exploration and famous Brithsh explorers. 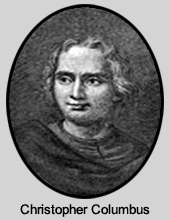 There is plenty to know about other famous people in the medieval era including Mr William Shakespeare the playwright, Vasco the Gama the explorer and Christopher Columbus achievements as an explorer. The Tudors history starts with information about the Tudor dynasty and its founder Henry the 7th. 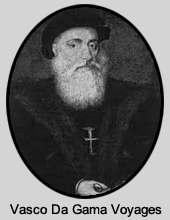 However, the most “colorful” character of Tudor era before Queen Elizabeth the first was perhaps Henry the eighth who is known for his six wives. So, overall you can find significant information about medieval England history and beyond. For Elizabethan England, it has information on Elizabethan Costumes, Fashion, Crime, Torture, Theater, Arts and Culture, Family, Children, Family, Children’s Education, Medicine and many other facts about the Elizabethan Era, which is considered a golden Era in English History. We have also given detailed information on Superstitions, Laws, Religions during the period and also crimes and punishments, including torture. If you want to travel to England see various museums in London and enjoy its history, have a look at Attractions in London and other places in England. 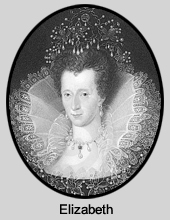 The below portrait of Elizabeth is a copy of a portrait that was made in approx. 1588 to commemorate the defeat of the Spanish Armada (depicted in the background). Elizabeth I’s international power is reflected by the hand resting on the globe. 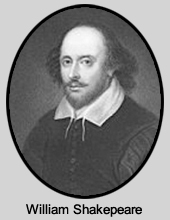 Theatre in Elizabethan England was mainly divided into venues where the plays were performed; open-air amphitheatre, inn-yards, and playhouses. See more information on theatre. Elizabethan clothing was a significant thing. In fact, there was even a law related to it. These laws stated the colors as well as the type of clothing an individual was allowed to own and wear. Read more interesting information on Elizabethan age clothing. Elizabethan age was a golden period for explorers and sailors. Some of the famous Elizabethan explorers were: Sir Francis Drake, Sir Humphrey Gilbert, and probably the most famous explorer Christopher Columbus. In 1571, the Elizabethan Sumptuary Laws were passed according to which every person who is above six years was to wear a woollen cap on Sundays and holidays. The pirates wore clothes that were opposite to the law. 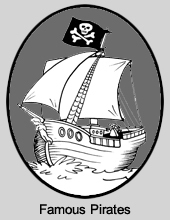 Since the pirates wore mixed clothing they would be termed as Motley crew. See more on Elizabethan age pirate costumes. The Elizabethan England medicines were simple; leaches and cupping were used to get blood. Moreover; tobacco, lily root, arsenic, and dried toad were as well used. Read more on Elizabethan medicines. The Elizabethan period in England had a daily life based on social order: the monarch as the highest, the nobility as the second rank, the gentry as third, merchants as fourth, and laborers as fifth. The queen was believed to be God’s representation here on Earth. The Elizabethans had high regard for the family in a community. They believed that families were role models for the community. They were standardized and followed deep respect for the importance of hierarchy. See more on daily life during elizabethan times. During the reign of Elizabeth I, the most common means of Elizabethan era torture included stretching, burning, beating, and drowning (or at least suffocating the person with water). Torture at that time was used to punish a person for his crimes, intimidate him and the group to which he belongs, gather information, and/or obtain a confession. Read more information on torture. For most children, education would begin at home, where they were taught the basic etiquettes and proper manners. Other basic principles of childhood included respecting their mother and father, asking their parents blessing, rising early in the morning and saying their prayers. See more on children. Fashion in England during the Elizabethan Age was considered a way of self-expression for all members of the social ranks. For women, fashion was simple but made attractive. It covered the skin from the neck to the ankle. Like women’s clothing, men’s clothes were detailed with inconvenient ruffles, too. Boys and girls also wore dresses of the same styles. 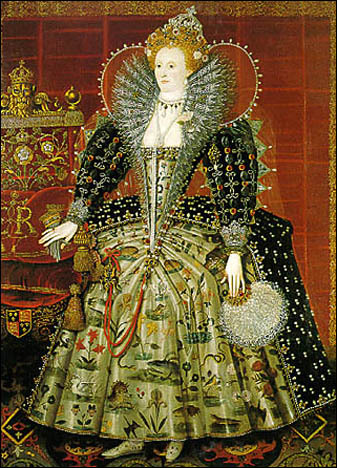 The dressing was regarded as an art form that is why Elizabethan people took time and effort to dress. Read more information on Elizabethan clothing fashion for men, women, and children.